Roderick Jefferson (@TheVoiceofRod), Head of Global Enablement at Oracle Marketing Cloud, is focused on making salespeople more successful and more money. When he’s not perfecting the sales process and teaching, he’s kept busy with voice-over work, bbq-ing, and playing bocce ball. In his definition, true enablement is not training. It’s getting the right people, in the right conversations at the right time, armed with the right information.From there, it’s about driving incremental revenue. 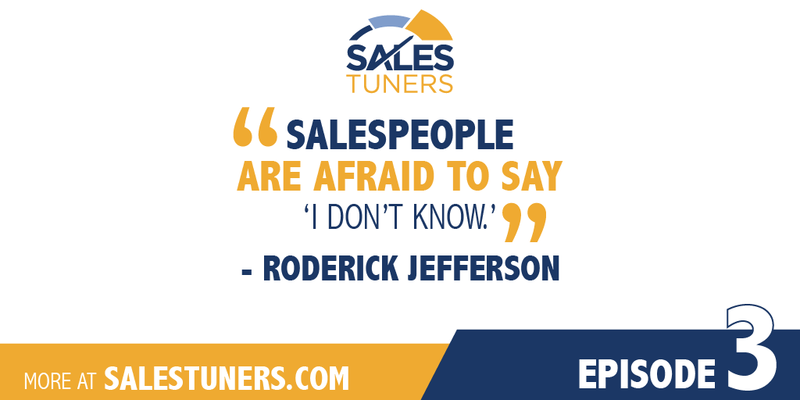 In Roderick’s experience, the best way to justify sales enablement is to look at hardline ROI figures as it’s not about the program, but rather, about driving incremental revenue, closing more deals faster, and increasing productivity per lead. To get started, the focus should be on the individual and how they learn. Each role is treated differently and it’s both science and art. The science is finding out what you need that scales broadly and the art is tailoring how to provide that information. Approaching enablement by focusing on the relationship is key to building trust. Every time he starts a conversation with a sales person, he asks the same three part question: Do you want me to listen, do you want me to fix, or do you want me to coach? Asking these questions changes the conversation. Your Network is your Net Worth: Spend the time necessary to grow your relationships both inside your organization and outside of it. Coaching High Performers: Before starting the conversation use a simple three-part question, Do you want me to listen? Do you want me to fix? Or do you want me to coach? Enablement is Ongoing: Simply put, enablement is not a single event, it’s getting the right people in the right conversations at the right time with the right information and it can’t start early enough.